Showing results for tags 'figure review'. I wanted to give a massive thank you to Mattel for sending us this very generous review sample! The 16 time world heavyweight champion, the WWE Hall of Famer is here with one of my personal favorite figures! This particular release is from the Gamestop exclusive line of the popular Retrofest series. This figure release is from Flair's run as the WWF world heavyweight champion, and feud with the Macho Man Randy Savage as Flair had been terrorizing Savage along with the lovely Miss Elizabeth. They went head to head at Wrestlemania 8 with the Macho Man ultimately defeating Flair to recapture the gold. The line features several classic superstars from the 80's and 90's. The box features a very unique design in which the box resembles a classic video game cab. The font is is the same font used in the Golden Era and features the classic blocked logo, minus the "F" in the logo for obvious reasons. On the back of the box features the Nature Boy's highlights and stats in cool video game lettering. Once unboxed, the figure feels very premium and solid in hand. The robe is a soft goods cloth robe which is very fitted. It can be removed if needed. The robe has an intricate pattern on the front and back in silver with "Ric Flair" on the back. The scan is fantastic as it captures that classic smug look that only Ric Flair could give! The hair sculpting was also beautifully done. Flair's golden locks look great, even in action figure form! A small detail that was not skipped by Mattel was Flair's dark colored eye brows. On some other figures in the past made by other toy companies, it seemed like they could never achieve the accurate color of his brows on figure form. Such a small detail, but as a collector and massive Ric Flair fan it was certainly appreciated! The color of his trunks, boots, and knee pads are red and the "RF" logos on the side of his trunks and side of his boots are white. The back of his knee pads are a pink shade, which adds more realism and attention to detail. While the front remains a solid red. While this is an absolute amazing figure, there is one glaring drawback. I would have chosen a different torso mold. Flair was always in great shape, but he never had a body builder physique with abs. A slightly thicker torso mold would have been more appropriate. 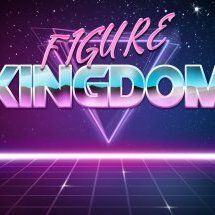 This figure release is a must have for any old school fan of the 80's and 90's wrestling, or even a new era fan that is discovering Flair matches on the WWE Network for the very first time! I would rate this figure a 9.5/10 All around fantastic figure with extras, detail, unique packaging, and all the bells and whistles that Ric Flair deserves. Once again, a big thank you to Mattel for this review sample! A big thank you goes out to Mattel for sending us out this review sample! KO is ready to "fight anyone" in Mattel's WWE Elite series 66 Kevin Owens! You get the latest look of Kevin Owens from Smackdown Live. Ever since returning from his injury at the hands of Bobby Lashley, Owens has returned with new vigor and life on the blue brand. Mattel has included all the bells and whistles with this release. The head scan is very dead on from previous scans that have almost looked cartoonish. It seems like the new TrueFX technology implemented has really taken Mattel Elite figures to an all new level. The beard feels nice to the touch and has texture to it. The facial hair has not been painted on like past figures in the elite line have had. It even has the same patchy spots of the beard which is a nice touch. Owens is sporting his trademark fight shorts that has "K" on the left leg and "O" on the right side. The logo is in blue, with a white trim. On his sleeveless shirt, it has the current logo that says "fight anyone" in black, white, and blue. The body type is very much on point, as Owens has that burly bar room fighter type of body. Less muscle definition would have been preferred on his arms. He has his tattoos included on his arm, shoulder, and hands. You get an added bonus of extra removable hands that make play and collecting that much cooler! The extra set of hands also include the tattoo design. You get one pair of closed fists, and one pair of open hands. Mattel was also generous enough to include a "Yep" Yep" Yep" maroon removable soft goods t-shirt. The shirt was a take on Daniel Bryan's "Yes!" t-shirt at the time of their feud. As much as I really enjoy this particular release of Kevin Owens, there is one minor change I would make. That would be to change the color of his hair. Kevin Owens has been with WWE since 2014, and I have never seen him have red hair or a red beard. I do think it takes some time in the design process to effectively nail down certain traits to the superstars, so i'm sure in time we will see a better and updated version! You get articulation at the head, shoulders, elbows, wrists, elbows, legs, knees, boots, and ankles. I would rate this an 8.5/10 Once again a massive thank you to Mattel for this awesome review sample! Massive thanks to Mattel for sending us out this review sample! The Enigma, Jeff Hardy is here with WWE Mattel Elite 67 Jeff Hardy action figure! This figure is based off of Jeff Hardy's United States championship run on Smackdown Live! Out of the numerous figure releases he has had, this figure is in contention for best Jeff Hardy figure release. It has that intense and menacing scan! His eyes even feature the white out contact lenses that Hardy has been wearing as of late for his matches on the blue brand! The figure scan looks great for poses where Hardy is getting beat up, or putting the smackdown on his opponents! The colors on this figure are so bright, that i've got to wear shades! His face paint has orange, aqua blue, light blue, and white. Mattel even included the spacer earrings on the head of this figure. This is perfect for recreating that classic scene where Randy Orton stuck a screwdriver into the spacers of Jeff Hardy during their Hell in a Cell match! His pants are solid black, and features a white studded belt that has some nice texture when you touch it. The coolest part I believe, are his multi colored arm sleeves! They have a unique speckled/splattered black, white, and blue design! This really makes the figure pop and stand out among your shelf of action figures. 2019 has been the year of Mattel upping their game by including interchangeable hands! This release has the classic Jeff Hardy entrance gun pose! You can also do the "Brother Nero" delete post as well by swapping in one of the unique hands as featured in the picture gallery. Both sets of hands have Hardy's tattoo roots design peeking through the arm sleeve. You also get a removable United States championship title that fits most of the Mattel scale action figures. Mattel also has a special edition chase figure of Jeff Hardy in the red, white, and blue. You get the customary articulation in the head, shoulders, elbows, wrists, waist, mid torso, legs, knees, and boots. As someone who is a lifelong fan of WWE and massive Jeff Hardy fan, I felt the need to have both in my collection. Jeff Hardy is known for his unique face paint, colorful outfits, and charismatic personality that has endeared him to the WWE Universe. I would rate this figure release a 9.5/10 Once again, thank you to Mattel for sending us out this very generous review sample! To start i'd like to give a big thank you to Mattel for sending us out this review sample! The "Glorious" Robby Roode is here with this Wal-Mart exclusive WWE Mattel Elite Survivor Series action figure. Bobby Roode has been everywhere in the world of professional wrestling. He is a character I never envisioned as having a Mattel release, so its fantastic that we can add such a cool superstar to our collections! This is a figure release which was based off his United States championship run after he defeated the villainous Jinder Mahal in the finals of the tournament on an Smackdown Live! The face scan is done very well but leaves for some areas of improvement. Having only a small amount of figures released thus far, it sometimes takes toy makers awhile to finally nail down a face scan properly. The beard on the figure has a red tint on the sides and isn't as full as it was during that time of his career. The body type on the figure is very much like Roode's. It has a very muscular and toned build. In comparison to other action figures, this action figure is very much in scale and looks great when paired off in matches with other superstar's action figures. The trunks are maroon, with silver accents and the "Roode" logo in yellow on the front with "Glorious" being on the back in yellow as well. Bobby Roode is sporting the tall black laced boot style. Mattel went all out with the extras by including a soft goods Survivor Series removable t-shirt. The shirt fits very snug and has a fitted look. Mattel has come a long way from its early days where shirts were frayed and sometimes baggy. This is the perfect fit! Mattel in recent time has started to move away from including figures with the huge and bulky plastic t-shirts. As a collector, I can say that we appreciate cool extras such as a cloth t-shirt or robe when purchasing an action figure of this price point. You also receive a WWE United States championship title that has the network WWE logo. With other Elite style action figures you get numerous points of articulation. You get to bend the figure at the head, shoulders, arms, wrists, mid torso, waist, legs, knees, ankles, and you get a swivel at the boot. As previously mentioned, I would only improve on a couple of areas such as the fuller beard and changing the red tint on the sides of the beard. Bobby Roode is also known for his signature robes he wears for each of his performances during his elaborate entrances. It would have been a nice touch if we could have received a cloth robe instead of the t-shirt. I had to use another superstar's robe for this photo shoot. But that is only a minor thing I would have wanted as a collector and fan of Roode. While this may not be a perfect release, it is still a fantastic action figure that captures the likeness of the Glorious one! I would rate this figure a 8/10 This figure can be purchased at Wal-Mart as part of the Survivor Series Elite line. Once again I would sincerely like to thank Mattel for sending us out this fantastic review sample! This was an absolute blast to shoot with! Big thanks to Mattel for sending us out this very generous sample! K-O Mania III is here with Mattel's WWE Elite series 66 Kevin Owen's chase figure. Every year for Wrestlemania season Kevin Owens has had a t-shirt that has one of the original Wrestlemania logos and put his unique spin on it. This figure is from Wrestlemania 34 which was from the return of Daniel Bryan. Bryan and then Smackdown Live general manager Shane Mcmahon took on the nefarious Sami Zayn and Kevin Owens in a match where if Zayn and Owens lost the match, they would be banished from Smackdown Live. I have owned several Kevin Owens figures in the past and felt I was done collecting them since the gear is similar on most releases. However, Mattel always finds a way to reel the collectors in! This is a fantastic figure release with a vast array of extras. The face scan has that typical Kevin Owens smirk that was captured flawlessly. The beard has a nice texture and grain to it. On TV the beard doesn't look full and looks to come in patches, and Mattel nails even that small detail. His tattoos are accurately depicted on his arm, shoulder, and hand. You get an extra pair of hands, one set of closed fists, and another set of open hands. Both sets of hands come with the tattoos which is a nice touch! Kevin Owens has a bigger frame than most superstars on the blue brand and the choice of body is very much on point. Mattel has nailed that barrel and stalky look of K-O! One one side of his fight shorts it says 'fight" in yellow, and on the other side has his K-O logo in gray. You also get the YEP! YEP! YEP! soft goods removable t-shirt which was Owen's way of mocking Daniel Bryan with his Yes Movement that he was known for at the time. As with other elite figures you get articulation at the head, shoulders, elbows, wrists, waist, legs, knees, ankles, and swivel at the top of the boots. If I could have an area of improvement, it would be to add articulation to the mid section, as the molded on shirt hinders full on movement. Another area of improvement for a future release would be a less toned arm mold, as he isn't as muscular as he is depicted in this figure. But those minor flaws shouldn't hold you back from purchasing such a cool looking figure! As a collector it's very much appreciated when Mattel does something different and produces chase variants which makes the overall experience that much more enjoyable. I would rate this release a solid 8/10 Once again. a huge thank you to Mattel for this sample! It was a pleasure snapping some review shots! Never trust a snake! Mattel is back with the WWE Mattel Elite Wal-Mart exclusive Flashback Series Jake the Snake Roberts. This set has been the hardest to find for most figure collectors in recent years. Distribution issues appear to have made this figure along with Harley Race, Steve Austin, Ricky the Dragon Steamboat, and Jake Roberts some of the most sought after action figures. I can certainly see why there was a ton of hype for this set. When you collect all four figures, you get several build a figure parts to make an elite commissioner Shawn Michaels. With this particular release of Jake, he comes decked out from his 90's gear from the King of the Ring tournament where Austin 3:16 was born! Roberts had to endure a long hard night of battling several other superstars to eventually make it to the finals and faced off with Stone Cold Steve Austin. The gear is exactly how I remember it from back then. The colors pop on this figure and makes it stand out on any display amongst your other figures! With any elite you get additional articulation that basic figures do not receive. You can articulate the head, mid torso, waist, wrist, shoulder, arms, knees, and ankles. The figure comes with a snake skin design vest that is non removable. His tights has the design of his beloved snake at the time, "Revelations" The boots are the taller mold that also have the snake skin imprint on them as well. His face has that classic sinister grin that Mattel captured perfectly. Mattel went even as far to put chest hair peeking through his vest. You also receive the rubber Revelations snake as an added bonus. You will also receive the legs of the build a figure commissioner Shawn Michaels. I rate the figure a 9/10 A minor nitpick would be adding his snake bag to complete the look. But I would not change a thing about the actual details of the figure itself! Grab this figure while you can, before its gone for good!